Complete the form below and for a low annual payment you'll have access to all our streaming videos. You'll learn how to build a house straight from the experts, with accompanying tips and links for each video. There's also an online forum for members where you can share each other thoughts and ideas. Go on, become a member now! I have read and agree to the website policies. Once the initial payment has been processed, a tax invoice/receipt will be sent to the email address you have supplied. You will receive a registration confirmation email which will contain your username and password. Follow the steps in the email to complete the registration process. If you do not immediately receive this confirmation email please check your spam/junk mail box. 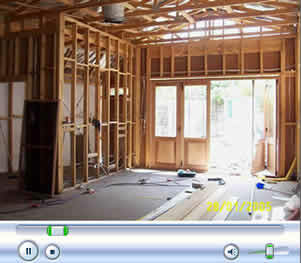 "www.howtobuildahouse.com.au is an amazing site! Easily the best renovation resource I've ever come across. Congratulations and thankyou so much." "I really like your website heaps! I'll look forward to your new additions during the next 12 months. I'll be using your site almost daily over this period of building my house. All the best, Mick, and thanks again for the huge effort you have put into your website." "im a 3rd year apprentice chippie, but my company deals mainly with building maintenance, so I've never had experience with frames and trusses,and decks and pergolas, your site has given me that 'on site' experience that I've been looking for. And its good to see the site is run by a quality tradesman so I know all the techniques are correct. Very impressed by the time and patience taken in producing a top job. look forward to watching more video's." "Great site - Invaluable information for our current extension, and I'll revisit many times over the next months. On-demand streaming videos at your fingertips. That means you don't have to wait for the videos to download before watching them. Expert tips and information accompany each video. No matter what stage of construction you're at, How To Build A House videos will help you.